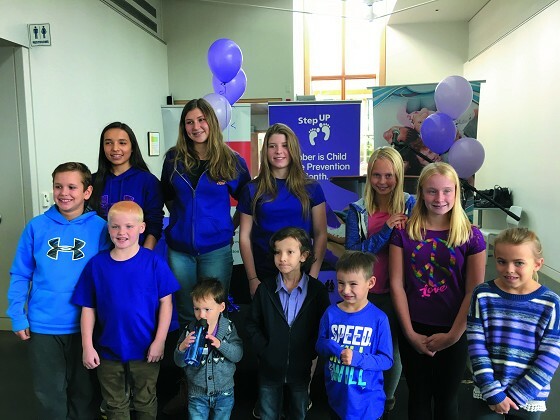 Today, to recognize Go Purple for Prevention Day, Dilico Anishinabek Family Care and the Children’s Aid Society of the District of Thunder Bay (CAS) announced the top 10 finalists of its Step Up Spotlight Contest. The contest was launched as a part of the annual Step Up Campaign that raises awareness about Child Abuse Prevention Month. Over the past two weeks the organizations were asking the community to nominate children and youth who are stepping up in their schools, neighbourhoods and communities. Purple for Prevention Day. It is an annual event that has been happening in the district of Thunder Bay for several years, that asks schools, families, businesses, organizations and individuals to wear purple to recognize and support Child Abuse Prevention Month. October is Child Abuse Prevention Month across Ontario, and has been officially declared in the City of Thunder Bay. The Step Up campaign reminds the community that we are ALL responsible to protect children and we must step up. By stepping up, adults can help a child or give a family in crisis the help they need. Child abuse includes physical, emotional and sexual abuse and/or neglect.